"Abkhazia will respond to potential aggression from Georgia"
Should Georgia challenge Abkhazia’s independence, the republic knows how to react, Abkhazian president Sergey Bagapsh told RT. He also spoke about a Russian military base and the republic’s international aspirations. RT: Recently the small Caucasus republic of Abkhazia held presidential elections. The winner and current president Sergey Bagapsh won with two thirds of all votes, and he is here with us today. What's changed during the past couple of years since Russia recognized Abkhazia's independence? Sergey Bagapsh: I often repeat this and answer these questions – what's the most important thing, what has changed. Our people have peace now, they are not afraid of the future. The people understand that the wellbeing of our country is in their own hands. We signed agreements with the Russian Federation, including the big treaty of Friendship, Co-operation and Mutual Assistance. A Russian military base will be here, Russian border patrol troops will fulfil their mission along with our military. So in my opinion, the main thing is stability. The political stability that we have in Abkhazia today. RT: Your meeting with President Medvedev resulted in the signing of several treaties. 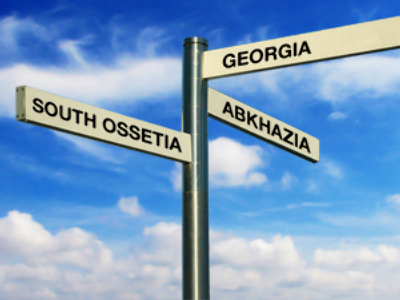 What help is Abkhazia expecting to receive from Russia? SB: We signed ten documents, most of them of an economic nature. I think the most important ones were the documents concerning the development of transport infrastructure: construction of our airport and its operation, maritime traffic, roads, railways… These are the directions in which any economy should move, and Abkhazia is not an exception here. We signed an agreement on the Emergencies Ministry activities – rescue work on land and sea. There were also a number of military treaties. So, all these agreements will help our development. Russia also helps us financially, and this aid is substantial. But as I told Mr. Medvedev, the macroeconomic project that we have today – in the area of transport, including air, maritime traffic, railways – is mutually beneficial, it is good for both Abkhazia and Russia. For example, re-exporting goods through our territories to Russia's South. Good question. 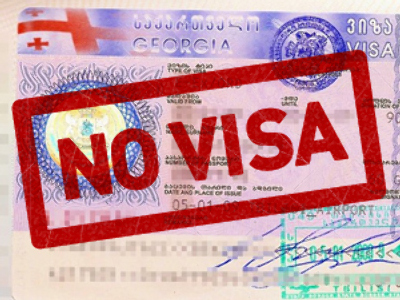 It involves a number of issues – border customs clearance, for example. When we figure out and solve these problems, it will significantly help the economy. The finances that have been allocated already are used for social needs – developing infrastructure, dealing with environmental issues, because Abkhazia is a place for tourists. The sea and its condition are the most important things for us, so people will come here. And we will continue our co-operation in the military sphere, based on the treaties we signed – the military base, co-operation in the area of technology. RT: You and President Medvedev agreed on the creation of a Russian military base in Abkhazia. Some Western countries and Georgia say that's illegal. Authorities in Tbilisi also claim that after the 2008 war, both South Ossetia and Abkhazia have become one large Russian military base in the Caucasus. What's your response? SB: It is hard to respond to things and claims that cannot be considered serious. But I have to. The Abkhazian army has 24,000 people today, and that includes the reserve. The Russian military base staff is only 1,500 people today. 1,400 soldiers are in the border patrol troops. If you can call that a military base, then I can ask both Georgia and the Western countries the same question. There are about 7,000 people in the NATO troops in Kosovo. Now, that is a military base. So let's look at what happens in the center of Europe first, and then move on to our region. RT: What is the situation in the region now? SB: Of course, the situation has changed drastically. It is more stable now. The joint border patrol is bringing results. We are only beginning to equip the borders with surveillance, fence them, so that there are no provocations at the borders, no smuggling of things. It is very important. So I think the situation there is stable now. RT: What is the current stage of talks in Geneva on the Caucasus? Is there a chance of reaching some kind of an agreement? SB: The talks in Geneva are being held, and so far we support the process, even though Georgia has said no to all our proposals. Abkhazia and South Ossetia have the right to insist on Georgia signing a non-aggression pact. After what happened in 2008, Georgia should gladly do it, if it doesn't plan any aggression in the future. But the issue has not been resolved yet. Of course, this process could be halted, but it should be continued. It is better to continue the talks. The talks in Gali, where five countries are involved, are happening at the same time, where current issues are being discussed – the stationing of Russian border patrol troops in the region, our own border patrol, EU military observers on the other side of the border. I think these processes should be continued, and at this point we plan to participate in them. RT: So far besides Russia only three other states have recognized the independence of Abkhazia. What other chances are there that other countries may follow? SB: I think this year several more countries will recognize Abkhazia. It does not matter that much which countries in particular. When I spoke at the Moscow Institute of International Relations, I said we are already recognized by the biggest country in the world – Russia, and by the smallest one – Nauru. I think other countries will join. It’s a joke of course, but every joke has some truth in it. I think some former Soviet Union republics will follow suit, along with other countries. But it’s not that important how soon we’ll be recognized. What is more important is that we establish ourselves as a state as quickly as possible – our statehood, democratic principles, the rule of law – and make the Abkhazian economy attractive to investors. This is our priority. It’s obvious that we pay a lot of attention to our foreign policy. We are in touch with international organizations in different countries on different continents. However, what’s essential is to develop our economy and our political system. RT: Is it possible that some day Abkhazia will become part of the Russian Federation? SB: No, no. We have no fears of this kind. The world is built so that minor countries and peoples are susceptible to assimilation, whether we want it or not. 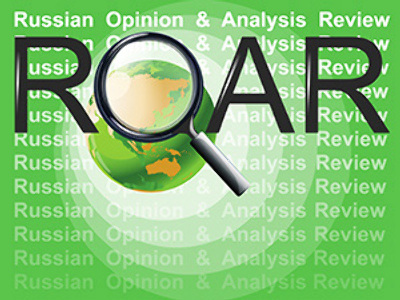 There are processes of globalization, economic development and so forth. Nobody hampers our development, though. Nobody hampers our addressing demographic issues, our dealing with families with many children. And Russia helps us in that. Russia has absolutely no need to annex more lands – it has enough of its own. When this issue is raised, the reason is clear – Georgia and the West claim that Russia is going to absorb Abkhazia. But [Lavrenty] Beriya and [Joseph] Stalin failed to do so in their time, so it’s highly unlikely that Russia will succeed now. Recently, I went to Russia on an official visit, and I had a meeting with the president of the Russian Federation, and he re-affirmed that Russia has only the best of intentions towards Abkhazia. Of course, the relations are friendly. What is crucial for Russia is that there should be peace and stability in the South Caucasus, and consequently in the North Caucasus and all over the Caucasus – there must be peace there. If our people are smart and wise enough to comprehend all this, they will do the utmost – through economy, through development and through culture, along with Russia – to build a normal peaceful state where economy, culture and our national identity can be developed. Russia is there to help us in this cause. RT: There have been reports recently that Georgia is rearming with help from abroad, including Israel. Do you feel this is a threat to Abkhazia? SB: Of course, it can pose a threat both to Abkhazia and South Ossetia, and not only to us, but to the Caucasus as a whole, and the south of Russia. The 2008 events have demonstrated that Georgia is an unpredictable country. Its leadership lives and works based on emotions, outbursts of emotions. It is not the way a nation should determine its policy. Therefore we take measures for our security. When I am asked why there are Russian troops, why there is a military base, I reply it’s for one simple reason, why all of you are members of NATO. RT: Do you think the 2008 South Ossetian scenario will repeat itself in Abkhazia? SB: I think it is impossible now. If someone has such thoughts and ambitions, it means the end of the Georgian state. RT: What will happen if Georgia takes some active steps to challenge Abkhazia’s independence? SB: We’ll take appropriate measures, along with our allies. We will likewise do all we can to prevent this in the first place. And, should it happen, our reaction will be the same as in 2008. RT: So far Georgia says it aims for peaceful reconciliation with Abkhazia and South Ossetia. Do you think it is possible? SB: I saw the plan that Georgia developed and submitted to the European Parliament. They think this plan is one of the most significant steps of Georgia’s foreign policy. We don’t think so. To us, violent or peaceful integration with Georgia is impossible. It is high time for everyone to realize one thing. No one can ignore the real situation in the world, be it a major power or a small country. The people of Abkhazia have made their choice – a choice for independence and free development. We are ready for dialogue with any country that’s open. We are ready to talk to the Georgian side whenever it is ready, except we will have no contacts with the current Georgian authorities who have done much evil in the Caucasus and whose hands are covered with blood. We will only talk to those who realize there is no other way. We are neighbors and must build our good, neighborly relations for the future. This is a realistic approach. RT: Sergey Bagapsh, thank you for your time with us today.